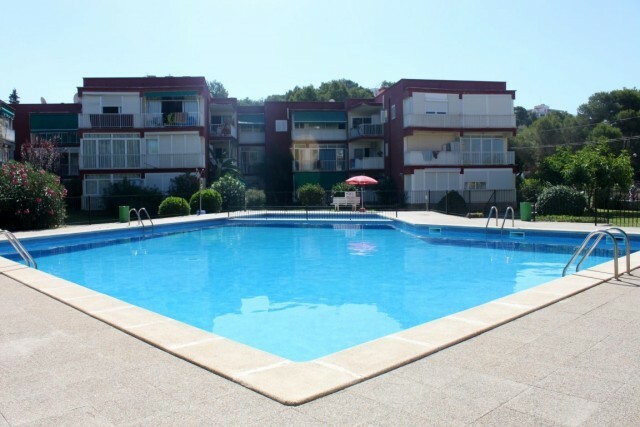 Frontline one bedroom apartment in one of Santa Ponsa's most sought after residence. Walk straight out of your door and into the pool or straight into the sea. This apartment could benefit from some modernization but this could also be a 2 bedroom property adding value to the property. Communal parking also in this complex which you will not see very often in Santa Ponsa. This could be your own piece of heaven here in Mallorca. Viewing highly recommended for this wonderful property.